As spring approaches, the daylight hours begin to grow longer and nature responds with reawakening beauty. There’s something about this renewal that stirs within us a desire to shed away the old and start anew. One way to do this is with Feng Shui, which is an ancient Chinese system of creating harmony in your living space, and improving the flow of energy known as chi. In Feng Shui, your environment is considered a mirror of your inner self. So if your environment is cluttered and disordered it reveals a lack of harmony within you. 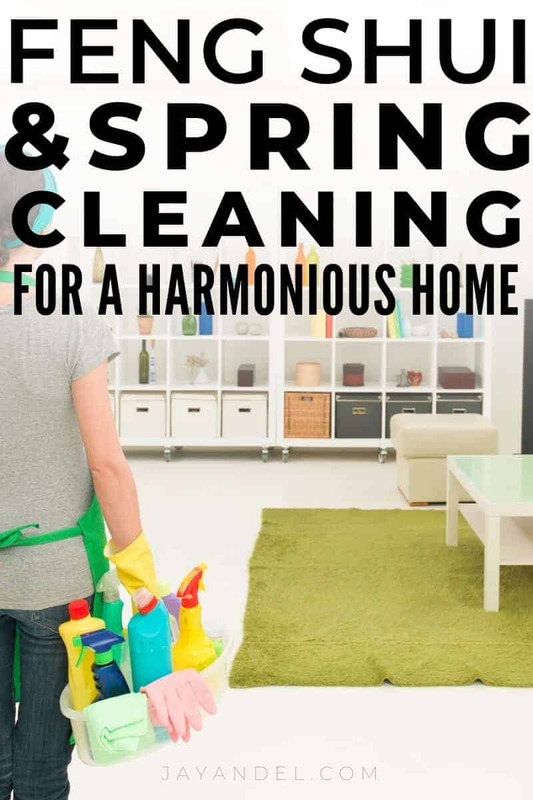 What better way to improve harmony and spiritual balance than with Feng Shui spring cleaning? In Feng Shui, clutter in your home equates with mental clutter. This physical clutter can create a stressful environment and also contribute to feelings of depression, apathy, and frustration. Removing clutter and organizing your home can seem overwhelming at first, so it’s best to work on one area at a time such as a closet, drawer or one section of a room. Throw out, recycle or give away items you don’t use anymore and that have no sentimental value to you. Organize and de-clutter your home one area at a time to improve the overall feeling of well being to your environment. In Feng Shui, cleaning the kitchen is considered detoxifying to the body. So, by keeping the kitchen clean and clutter free, you’re doing your health a favor. Give your kitchen a thorough spring cleaning by cleaning out the oven and refrigerator. Go through your pantry and toss out any old, expired food items. Make your kitchen sparkle by wiping off all surfaces and cleaning light fixtures. Avoid harsh, toxic cleaners and opt for safe, natural cleaners instead. In Feng Shui, the entrance of the home is known as the mouth of chi. This is where your home receives its nourishment of energy, so it’s important to keep the entrance clean and clutter free. If there is a wall directly opposite the door, it should not be kept blank as this signifies a blank future. Hanging a mirror on a wall opposite the front door is also not a good idea, as this will bounce back any chi entering your home. Instead, make the wall inviting by hanging up a beautiful, welcoming painting or wall hanging. Having a vibrant, nourishing flow of chi in your bedroom is essential for a restful night’s sleep, and also helps promote a healthy love life. Electronic items can severely disrupt restful Feng Shui, so it’s best to keep computers and televisions out of your bedroom. Clean out your bedroom closets and remove any clutter from beneath the bed. Open your bedroom windows as often as possible to let in fresh air, or use an air purifier if necessary. Remove any images that symbolize aggression, hard work or physical activity, as this can have a negative effect on sleep or romance in your bedroom. Also, because plants represent vibrant energy, it’s best not to keep them in your bedroom. Give your home a Feng Shui spring cleaning, and remember to follow these tips throughout the year. This way, you can improve the healthy flow of chi in your home and in your life. Love natural cleaning methods? Check out these awesome cleaning baking soda hacks. Hate cleaning? Check out these life-changing cleaning tools for people who hate to clean. Want to Find out how to use Feng Shui to create a healthy, safe and restful bedroom for your child. 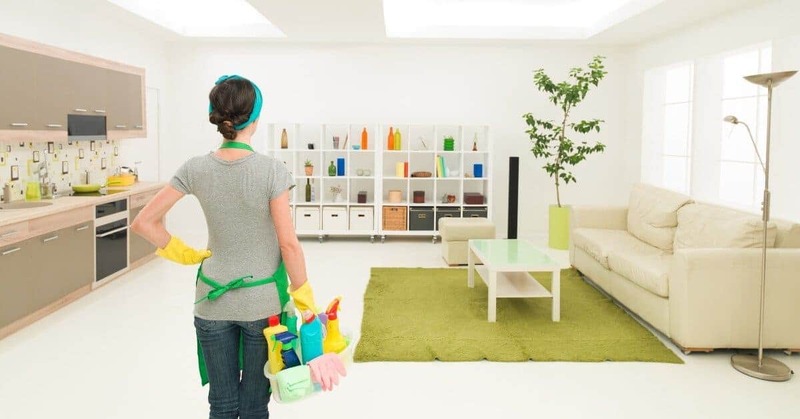 If you found these feng shui cleaning tips helpful, please share them on Pinterest!